With her bright red hair, infectious laugh, and impeccable comedic timing, Lucille Ball began clowning her way to the top of the Hollywood A-list in the early 1930s and even today, more than a quarter-century after her passing, remains one of the most indelible figures in American comedy. On what would have been her 105th birthday, we pulled up a few fun facts about The First Lady of Television. 1. LIKE MANY ACTORS AND ARTISTS OF THE DAY, SHE HAD A COMMUNIST PAST. 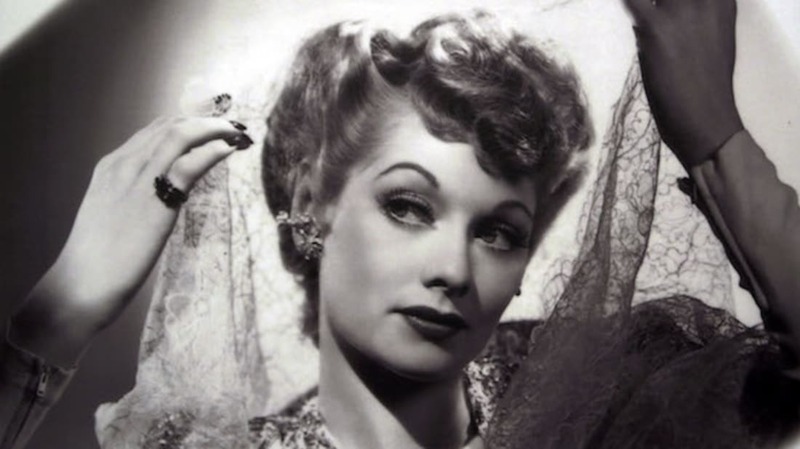 In 1953, Lucille Ball was required to give confidential testimony to the House Un-American Activities Committee (HUAC) to address the fact that she, like her mother and brother, had registered to vote as a member of the Communist Party. She explained to the Los Angeles Times (and countless other outlets) that she and her family had only registered as such out of love for—and at the urging of—Ball’s grandfather, who was a passionate socialist. She swore she never actually intended to vote with the party. Ball and her first husband, Desi Arnaz, were already darlings of the small screen by this time, and as such were concerned about the impact this potential scandal would have on their careers, prompting Arnaz to repeatedly tell reporters, “The only thing red about Lucy is her hair, and even that is not legitimate.” Luckily, the power couple’s millions of fans (J. Edgar Hoover among them) swelled with support, sending kind telegrams and giving the duo standing ovation after standing ovation in the studio. 2. SHE SNAGGED HER PLACE IN COMEDY BY DOING THINGS OTHER BEAUTIES WOULDN’T. 3. SHE NEVER GRADUATED FROM HIGH SCHOOL. Even as a teenager in 1926, Ball was determined to be a performer. So at the age of 15, she left high school in Jamestown, New York and moved to New York City to attend drama school. When theater work wasn’t panning out, Ball took some modeling jobs under the name Diane Belmont (a gig that ultimately led to her being “discovered” as an actress). 4. SHE WAS THE FIRST WOMAN TO HEAD A MAJOR PRODUCTION COMPANY. After over a decade of groundbreaking work and A-list success in Hollywood, Ball became the first-ever female head of a major Hollywood production company by taking the helm at Desilu Productions, the company she had formed with Desi Arnaz, in 1962. In the studio’s 17-year run, it produced such hit series as Star Trek, Mission: Impossible, The Untouchables, and (of course) I Love Lucy, among others. 5. HER STATUS AS A NATIONAL TREASURE IS WELL-DOCUMENTED. Ball collected scores of nominations and awards in recognition of her lifelong contributions to film, television, radio, and the stage, including a posthumous 1989 Presidential Medal of Freedom, a 1953 “Woman of the Year” award by B’nai B’rith (making her the first recipient actress), and Newsweek’s title of “Top Female Entertainer of the 20th Century.” According to a 2005 “Q Score” survey data, she’s also still very much alive in our hearts as one of the most missed and beloved deceased celebs in the U.S. (given that I Love Lucy has been dubbed into as many as 22 languages, though, it seems likely that fans around the world feel the same way).